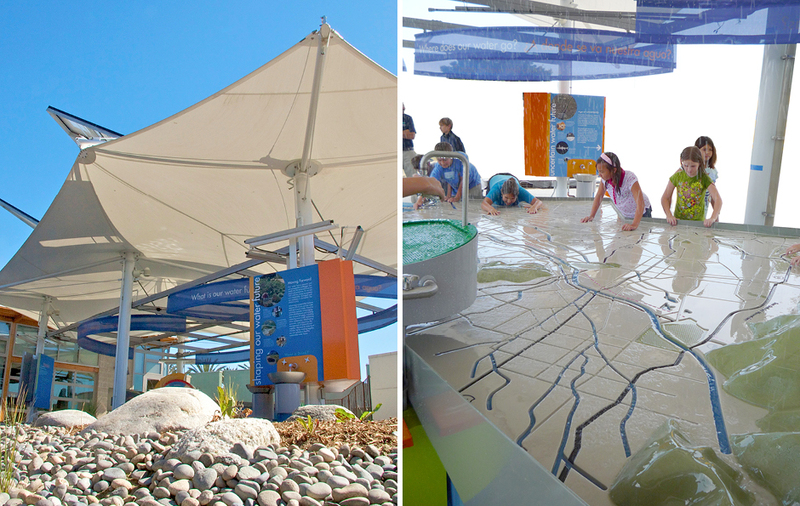 For this popular waterfront attraction in southern California, Main Street developed and designed an integrated suite of exterior exhibits which explore water use and water conservation, with a focus on three major watersheds that drain into San Pedro Bay. 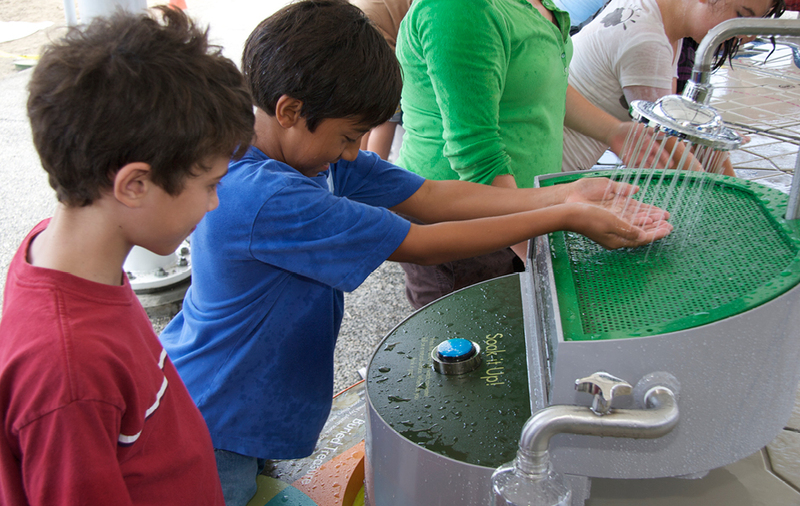 Centered around a large-scale hands-on wet model, exhibits focus on the role of people in the environment, past, present and future. 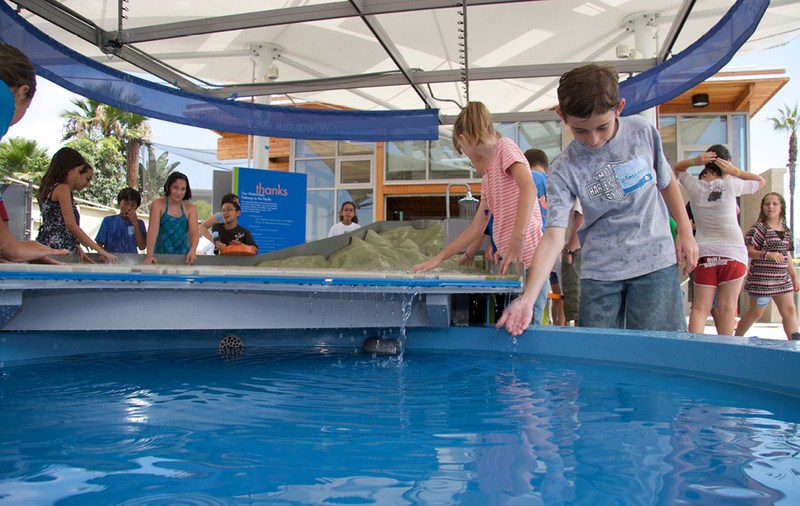 Interactive stations invite guests to trigger “rainfall” from overhead sprinklers and observe as the water either percolates through the soil to recharge precious groundwater resources, or runs off and flows to the Bay. 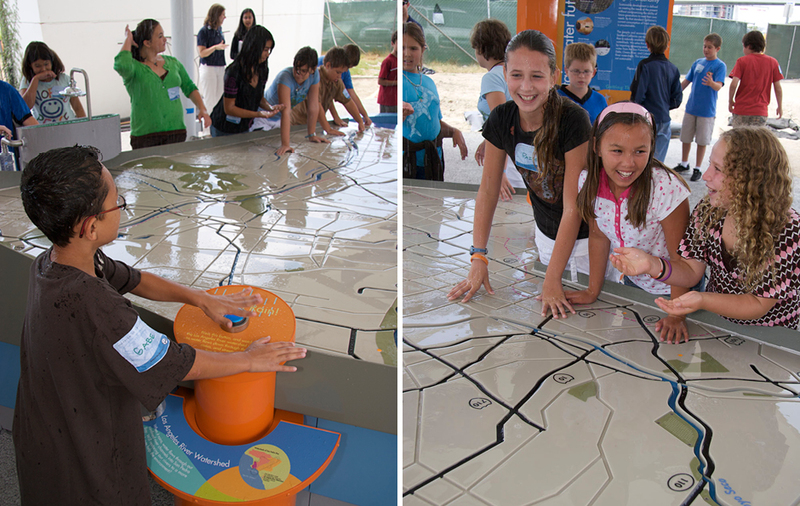 Stand-alone interactives investigate related issues: the complex relationship between population and water resources; water disposal and recycling; and home water use and conservation. Difficult issues are presented in a context of fun and friendly activities increasing public awareness and understanding. You were great - we were a difficult client but we would hire you again and again. Congratulations on an A1 concept and design.